Be wise – buy the right book. And keep it. I have friends and family who deride my reading of wisdom literature. Yet they are good people. So – did they learn how to be good people by accident, or did they learn from good people how to be good people? And, if so, what is so odd about such people writing about what good they represented and exercised, so that those who did not get such wisdom taught, could learn from it. Intelligent people read. They read what serves them and they read in an effort to discover what might serve them. If they read something that is out of kilter with what they believe, fine – at least they are better informed. But if they discover, as I did, something that astounds them – what an incredible opportunity for the next part of their lives! I’ve pointed out before that books like The 7 Habits are rarely seen in charity shops. That book, to use a relevant example, has sold 25,000,000 copies. I think I saw one copy in a charity shop, once. Other books of that genre, including TimePower by Charles Hobbs (not the title-stealing version by Brian Tracy) I have still to see. You see – and this is a guess because researching it would be impossible – books like that are seen by those reading and owning them to contain valuable, revisitable wisdom. That’s why I have a library full. And Dan Brown goes back to the charity shop where I got it. ≈ Comments Off on Computer or Paper Planning? I’ve just been reading “Effective Time Management Using Microsoft Outlook to Organize Your Work and Personal Life” By Lothar Seiwert and Holgar Woeltje. Luckily I bought it ‘Used and New’ from Amazon for under £3 because to be frank, it’s hard work. I am a great believer in and user of a paper planning system, but as someone who uses a computer all the time I was interested in seeing how I could use Outlook as a time management tool, not only to see if it would be of benefit but also because I am a quasi-time-management consultant in my own mind and it pays to be familiar with alternatives. It may have been poorly translated but although I pride myself on having a slightly above average IQ (about 101?) I spend half my time re-reading paragraphs to understand what the book is trying to tell me to do. Occasionally the book introduces a concept as if you know what the writers mean, then says ‘we’ll explain later in the chapter’, leaving you wondering whether you should jump ahead and learn something so you can follow what you just learned. Anyway, I have concluded that while life management through Outlook or other computer planning systems has its place for those who sit at a computer all day and have no life away from it, and it IS a good system IF you can understand and fully utilise it – to be fair it’s a good system if you can only use half its facilities – you cannot beat a paper planning system for simplicity, adaptability and portability. 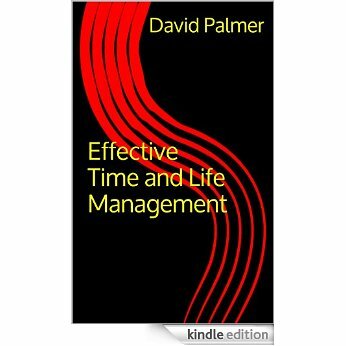 I could understand Charles Hobbs Timepower and Hyrum Smith’s “The 10 Natural Laws of Successful Time and Life Management: Proven Strategies for Increased Productivity and Inner Peace” in one or two readings. The same applied to Dave Allan’s Getting Things Done, another simple system. The only caveat is repeated appointments and tasks can be done once on a computer, while they need to be repeated on a paper planner. And you may have to wait until October to start planning next year properly. But how lazy do you have to be to be unwilling to write something more than once? And if it’s repeated often enough and is routine – why do you need to rewrite it anyway? Paper for me. Probably always will be. Don’t get me started on driverless cars. "Charles R Hobbs", "Circle of Influence", "stephen Covey", "time management", "Timepower", Stephen R Covey"
•	things we know we can do something about, but won’t. Let’s not even go there because we know we all have things that come under one of those headings. The Circle of Influence contains the things which concern us, and about which and upon which we can exert some level of influence – we can do something about them, if we want to. Again, as Charles Hobbs might put it, the things we think we can do something about, and do. For the life of me I cannot understand why everyone who quotes Dr Covey invariably stops there – at Circle 2, so to speak. Because (pardon the grammar) Dr Covey wrote about a third Circle. Remembering that ‘good’ is the enemy of ‘best’, perhaps a little more thought should be given to deciding, when we plan our weeks and set our goals, whether they lie in our Circle of FOCUS. And decide that if they do, then focus is what they’ll get. Like you I have difficulty with such a focus, because life gets in the way. For example, in the middle of my writing this I was interrupted by a phone call, and that call was interrupted by another (no message on an unidentified number, thanks a bunch). As it was, the first call was in my Circle of Focus so no harm no foul. Personal planning enables the Circle of Focus. Haphazard To-Do lists only expand the other two circles. Focus, people – FOCUS!